Festival producers Danny Wimmer Presents and AEG Presents are bringing a diverse and unprecedented music lineup to the eighth annual Monster Energy Carolina Rebellion at Rock City Campgrounds at Charlotte Motor Speedway in Charlotte, North Carolina on Friday, May 4, Saturday, May 5 and Sunday, May 6, 2018. 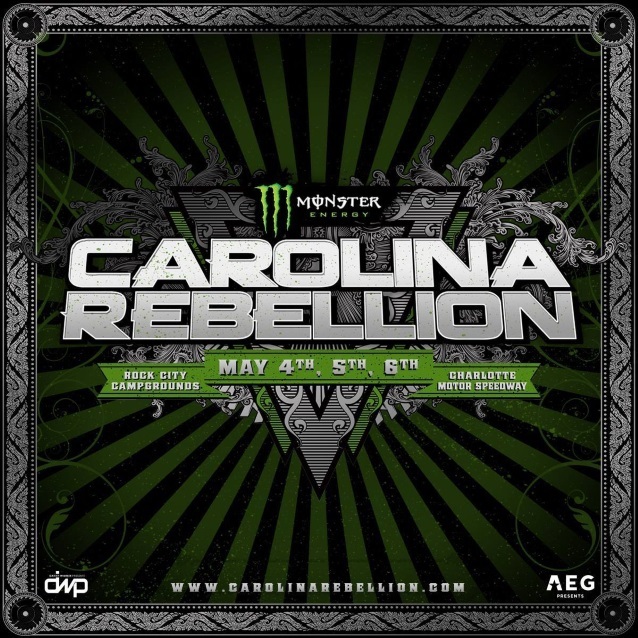 Many Monster Energy Carolina Rebellion bands will be performing brand new music from their upcoming 2018 releases, including ALICE IN CHAINS, SHINEDOWN, STONE TEMPLE PILOTS, HALESTORM, BLACK VEIL BRIDES, ASKING ALEXANDRIA, SEVENDUST, POP EVIL and RED SUN RISING. The Mid-Atlantic’ s Biggest Rock Festival features over 60 bands performing on four stages, plus outstanding barbeque offerings in the Pig Out Village, and top-notch camping facilities. All General Admission and VIP tickets (including layaway options), as well as Hotel Packages and Camping options, are on sale now at CarolinaRebellion.com. Fans are encouraged to buy early and save. New for Monster Energy Carolina Rebellion 2018: Each ticket price level has a limited number of tickets available, so attendees can save more by buying earlier. Ticket prices will automatically move to the next price level once a price allotment sells out. The layaway purchase option also allows fans to split the ticket cost into four monthly payments. Specially priced tickets for Monster Energy Carolina Rebellion will be available for active military through partner GovX while supplies last.